Who is in your family? This is a common question explored in the classrooms and homes of preschool and kindergarten children the world over. 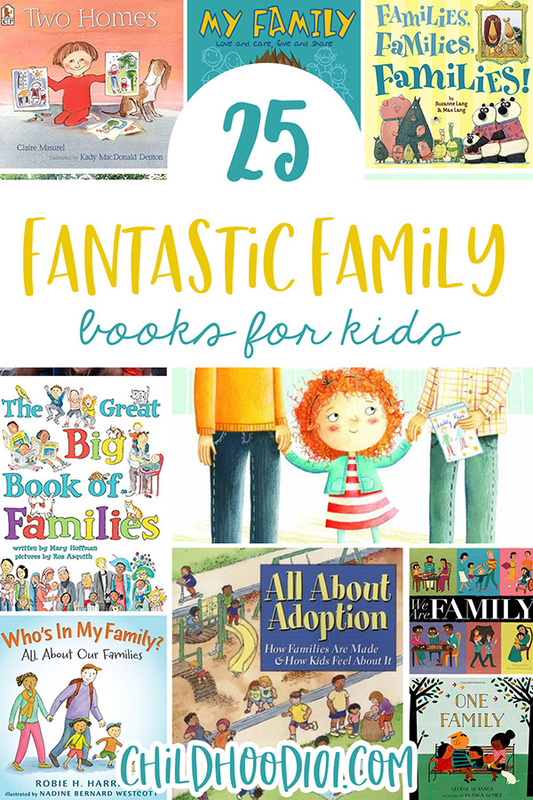 Fortunately, there are books available today representing a diverse range of families and this list includes 25 great families books to enjoy with young children. 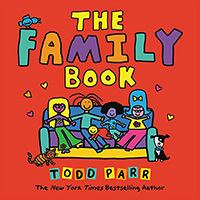 In Parr’s signature unique and colourful style, The Family Book celebrates the love we feel for our families and all the different varieties they come in. 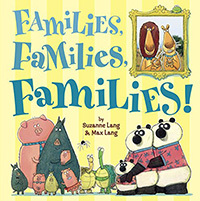 Join Nellie and Gus and their family for a day at the zoo in this humorous, engaging story that makes it clear that whoever is in your family, it is perfectly normal — and totally wonderful. 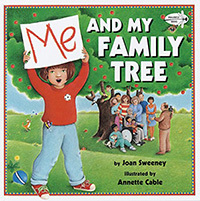 In Me and My Family Tree a young girl, through simple text and diagrams, how the members of her family are related to each other and to her. 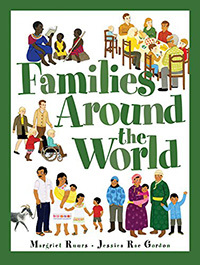 A celebration of all kinds of families and their lives together, each spread showcases the diverse customs and traditions of one aspect of home life-from houses and holidays, to schools and pets, to feelings and family trees, featuring families the world over. Family is important, but who’s in a family? Why, the people who love you the most! 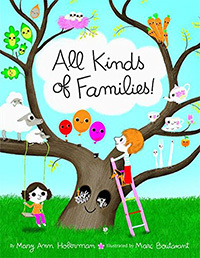 A great depiction of all different types of families. Dozens of combinations, demonstrating all kinds of nontraditional families are depicted by fabulous animals in framed portraits. A warm celebration of family love. Matthew shows us how families are the same, even if they look different from the outside. Divorce, step-families, grandparents, adoption, siblings, and pets all make up part of Matthew’s family. 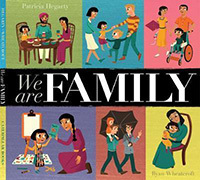 Celebrate diversity with a picture book for young children about the many faces of contemporary families. 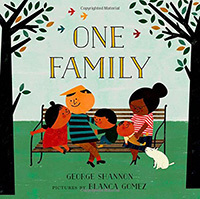 A playful, interactive book that shows how a family can be big or small and comprised of people of a range of genders and races. Makayla is visiting friends in her neighborhood. She sees how each family is different. Some families have lots of children, but others have none. Some friends live with grandparents or have two dads or have parents who are divorced. How is her own family like the others? 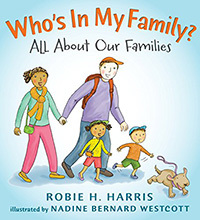 What do families look like? Who’s in your family? How can families change? 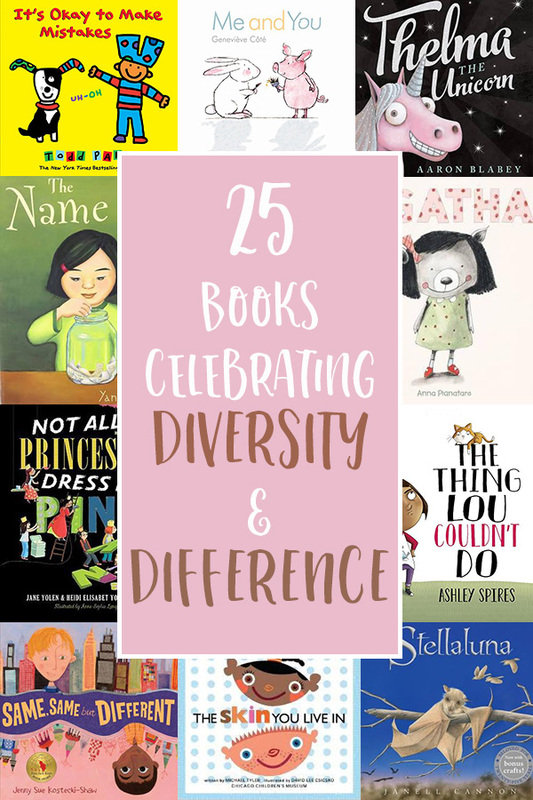 A celebration of family diversity that shows children that families come in all shapes and sizes. 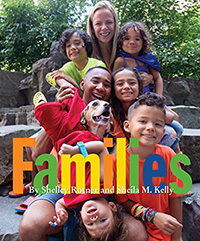 Celebrate the everyday differences of eight families, as well as the similarities they share. 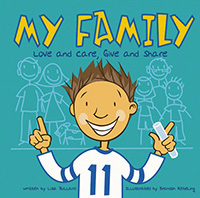 Visit with fourteen children, each from a different country, to learn about their families. 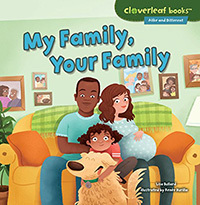 Based on real children, each one’s story fills a two-page spread and is told in the first person, beginning with a greeting in the child’s native language. 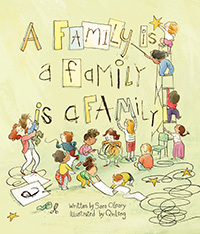 When a teacher asks the children in her class to think about what makes their families special, the answers are all different in many ways — but the same in the one way that matters most of all. 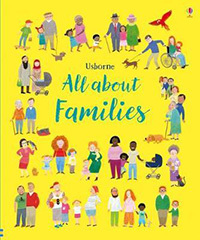 One child is worried that her family is just too different to explain, but ultimately realises that as long as her family is full of caring people, her family is special. 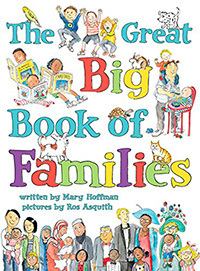 In fabulous rhyme, Mary Ann Hoberman shows readers that families, large and small, are all around us. From celery stalks to bottle caps, buttons, and rings, the objects we group together form families, just like the ones we are a part of. And, as we grow up, our families grow, too. 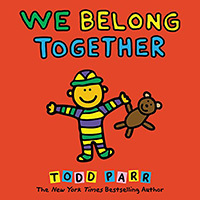 We Belong Together is about sharing your home and sharing your heart to make a family that belongs together. 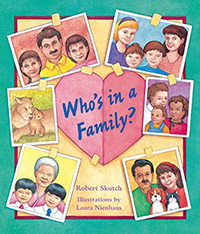 With an understanding of how personal and unique each adoption is, and that not everyone comes to it in the same way, Parr’s colorful art explores the true meaning of family. 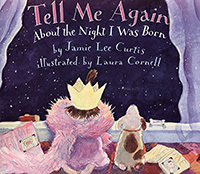 In asking her parents to tell her again about the night of her birth, a girl relives a tale she knows by heart. 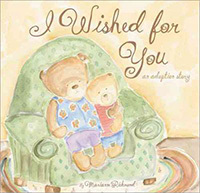 Focusing on the significance of family and love, this is a beautiful story about adoption and the importance of a loving family. 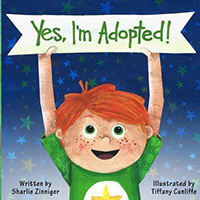 The adoption story from start to finish, told from the child’s point of view. A beautiful conversation between a little bear and his mama as they talk about how they became a family. The little bear asks many of the questions adopted children have, and his mama lovingly answers them all. 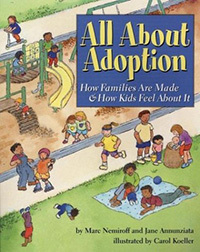 For the child who already understands the concept of adoption, this book provides a deeper explanation of how the adoption process works and the feelings that many children have about being adopted. Heather’s favorite number is two. She has two arms, two legs, and two pets. And she also has two mummies. When Heather goes to school for the first time, someone asks her about her daddy, but Heather doesn’t have a daddy. Then something interesting happens. 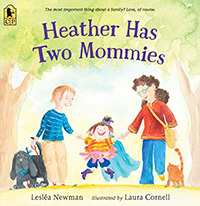 When Heather and her classmates all draw pictures of their families, not one drawing is the same. 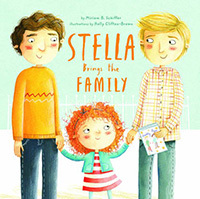 Stella’s class is having a Mother’s Day celebration, but what’s a girl with two daddies to do? Stella has her Papa and Daddy who take care of her, and a whole gaggle of other loved ones who make her feel special and supported every day. She just doesn’t have a mom to invite to the party. Marmee, Meema, and the kids are just like any other family on the block. They cook dinner together, laugh together and dance together. But some of the other families don’t accept them. 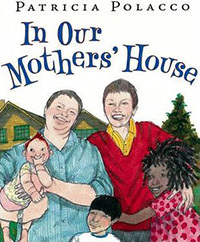 How can a family have two moms and no dad? But Marmee and Meema’s house is full of love. And they teach their children that different doesn’t mean wrong. 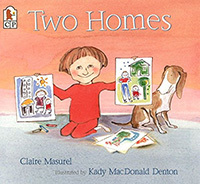 Following the playground conversation between two children, A Tale of Two Daddies helps young children understand that what children need most is adults who love and nurture them. At Mommy’s house, Alex has a soft chair. At Daddy’s house, Alex has a rocking chair. In each home, Alex also has a special bedroom and lots of friends to play with. But whether Alex is with his mother or his father, one thing always stays the same – Alex is loved. 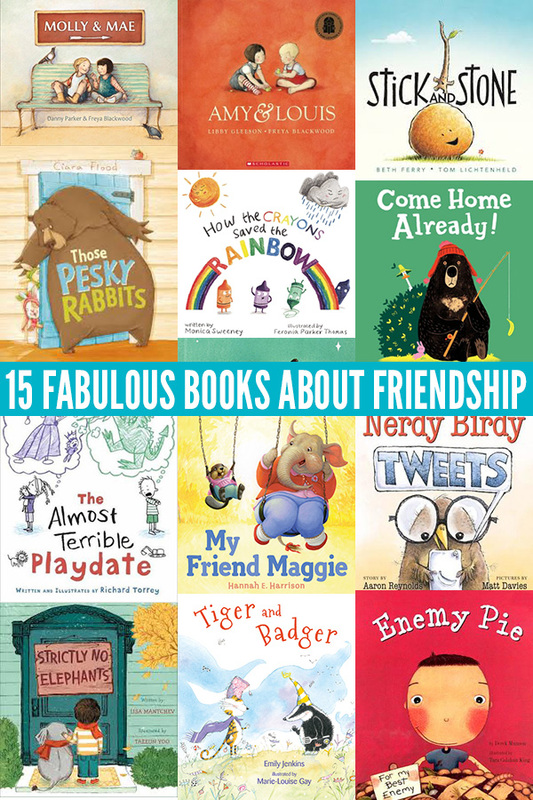 Do you have a favourite families book?